The impact that we’re having on the planet is constantly in the news these days and the food industry has a huge part to play in this. Recent research from the University of Oxford – published in the journal Science – found that the biggest way to reduce your environmental impact is to avoid meat and dairy products… which is fine from a personal perspective but when you’re catering for a large number of people, it isn’t always practical to leave these off the menu. Interestingly, the study found that global farmland use could be reduced by over 75 per cent without meat and dairy consumption, while still feeding the world, the Guardian reports. While meat and dairy provide 18 per cent of calories and 37 per cent of protein, it uses 83 per cent (the vast majority) of farmland and produces 60 per cent of greenhouse gas emissions in the agriculture sector. So what can be done about it all, apart from everyone giving up meat and dairy? Well, tissue engineering experts at the University of Bath have just succeeded in growing animal cells on blades of grass in order to create cultured or lab-grown meat. In order to create this meat, biopsies are taken from animals like cows or pigs, with stem cells from these samples then placed in a bioreactor where they’re fed a solution of amino acids, glucose, vitamins and minerals. Under specific conditions, this mixture allows the cells to develop into mature muscle cells to form cultured meat. If this process can then be reproduced on an industrial scale, meat eaters will be able to enjoy a supply of meat products completely slaughter-free. At the moment, the process is best suited to sausages and burgers but it’s hoped that the likes of bacon rashers and steak could be developed in this way as well. 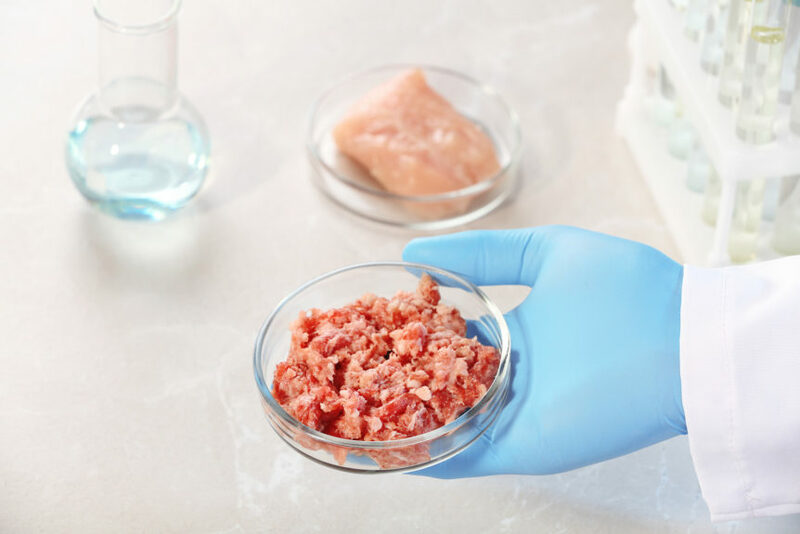 It’s very expensive and energy intensive to produce cultured meat, however, and the Bath team are now looking into how costs and energy can be reduced so lab-grown products can be placed on shop shelves at the same price as traditional meat. Other advantages of these products include helping to address future food needs around the world, while driving down greenhouse gas emissions as part of the fight against global warming and climate change. “The huge advantage of eating something like cultured meat is that it addresses our global needs and our global challenges of both food security and addressing climate change,” leading expert Dr Marianne Ellis, senior lecturer in biochemical engineering, said. “Our global population is growing and our current food production methods will not scale to produce what we need to feed everybody. We need something like an additional 60 million tonnes of protein to feed the population by 2050 and we can’t do that like we currently do. Looking for a Yorkshire catering company at the moment? Get in touch with us today.